When I travel, I don’t do so seeking out on thing in particular. I don’t try to visit beaches, or seek out wildlife destinations, or only visit cultural destinations. I try to visit as wide a cross-section of this world as I can. However, I have to admit, there is rarely a wildlife viewing opportunity that I skip out on. I love animals, especially big animals; and primates are my absolute favourite. As I have been travelling down through West Africa, I keep thinking “I can’t wait until I start seeing some big wildlife”. 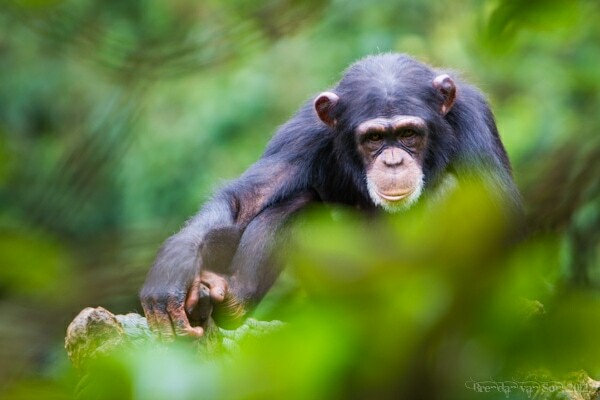 Thus, by the time I got to Freetown, there was no way that I was going to pass up the opportunity to visit the Tacugama Chimpanzee Sanctuary just outside of the town of Regent. Sure, these animals aren’t wild. But they aren’t exactly in captivity either. They are being rehabilitated and hopefully they will someday be re-introduced to the wild. They are doing a wonderful thing at Tacugama, and it was a great visit! Anyways, enjoy the video below. And if you like it, I hope you subscribe to my youtube travel channel as well. They’re great – love to watch them, chase, get chased and just wonder what is going on in their heads. Wow! Sierra Leone is quite the destination and it’s not often I come across people who’ve travelled there. I remember going here when I was backpacking west africa with my family in 2008!! So nice to see this video!! Thanks for sharing. Great! I love it. Sierra Leone is quite the destination, it is perfect.